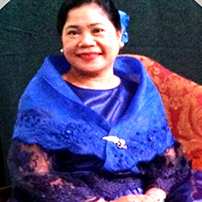 Started in a humble beginning from a working student to one of the successful women entrepreneurs in the country, MARIA SOCORRO M. MALITAO, Ph.D., who is fondly called “Maricor” held the position of President & CEO of the STANDOUT Group of Companies from 1989 to present. Her guiding light to success is her much loved bible verse Jeremiah 29:11, “For I know the plans I have for you declares the Lord, plans to prosper you and not to harm you, plans to give you hope and a future.” She authored The ABC of Success – Good Attitude, Behavior, Character. Her life is associated in the butterfly story. Butterflies epitomize rebirth, beauty from within come into completion, and good results from humble beginnings. A reminder that GOD’s wonderful miracles can happen, and that life status can change.